I have had a most entertaining time the last few days with my niece visiting from New Zealand. She is doing her PhD on Amnesty (of the TRC) and looking to see if it is justice or political expediency, that is it in simple terms. She is doing her research in South Africa, Brazil and Chile and comparing them based on that topic. She must have spend months researching her topic as when she arrived here she knew everything about the TRC and who got amnesty for what, why, etc. She knew who she wanted to talk to and had made appointments with them. My job was to be taxi and get her around in Cape Town and Stellenbosch to Parliament, NGOs and universities, and take her to bookshops which she could not browse through in her home town. She had her questions ready for each separate interview. She left for Brazil yesterday where she will do similar interviews and then go onto Chile. When she gets back to her home town she will collate all the interviews and based on what she has found she will formulate a survey form with more question and send to people she met and others, so that she can have a deeper understanding to be shown with statistics and meaningful graphs. When she gets it all back she will then analyse all that data and write a meaningful report on what she found out. Is amnesty given for real justice or just for political peace (expediency). She read up all about the topic. She planned who she had to see and where and what to ask them to help solve the amnesty problem. She has and will collect information in the next few weeks. She will refine her questions and send out surveys after these initial interviews and information collection. She knows that she will be pulling all her completed survey numbers into a statistical program. She knows that it has to be written up into a long document, with different chapters indicating her literature research, how she did the investigation, the data she found and then her interpretation of the data. If she wants to get a job as a lecturer or work for the UN she will have to create some good PPTs and write good articles to show what she found. She has to be ready with some interpretation as she has a job for a short time later this year in Kazakstan. She will have to keep all her evidence in bibliographies and the survey forms in case someone argues with her. I guess that she will be in the South African/Brazilian and Chilean media in a year or two when the job is finished, and she will have to be able to prove her ideas. Computers and the Internet were used by her in New Zealand and here. In her home town she used the Internet and electronic journals to access information on the TRC and the amnesty process in SA, Brazil and Chile. She set up appointments via email. She bought a USB modem with a large data bundle for all the Internet work in South Africa. (In Brazil she will keep the same modem but with a new data bundle.) From my lounge in Cape Town she Skyped her boyfriend and talked with him via computer, she Skyped computer-to cell phone to her mother and she kept contact with all her friends via Facebook. She was able to send URLs of the tourist places we went to such as Robben Island, Club Mykonos, shark diving, the fossil farm at Langebaan, quad biking, ballet at Oude Libertas, wine estates, etc. so that overseas people knew what we were doing on quiet days. On her appointment days we found the locations via Google Map and Street view and printed them. Thank goodness for Google Map as many streets do not have visible names and the Google Map/StreetView with images showed pictures of the route. One day I will buy a Garmin. When she left she was brushing up her Portuguese via a language program on CD transferred to her IPod. Her Spanish is already good, ready for Chile. A PAT is all about planning, collecting information, refining the idea and questions, collecting information, processing all the data into meaningful knowledge and presenting it. Niece did a great deal of planning, however I saw a few small errors – she forgot her earphones so I was able to hear every word she and the people she was talking to, and she left her cell phone in the car back in New Zealand but used a spare one of mine. Otherwise her planning has been marvellous. The next part has to be good if she wants to get a meaningful job and not repay her bursaries. Great story of how technology can facilitate human interaction and make our working lives a whole lot easier. So very true. I could not have achieved what I have achieved in South Africa if it were not for the use of technology. So much has been done online - right down to accessing journal articles through J-Store, and in-puting all my newly purchased books into my Zotero folder so that when I pull together my bibliography they will all be there. 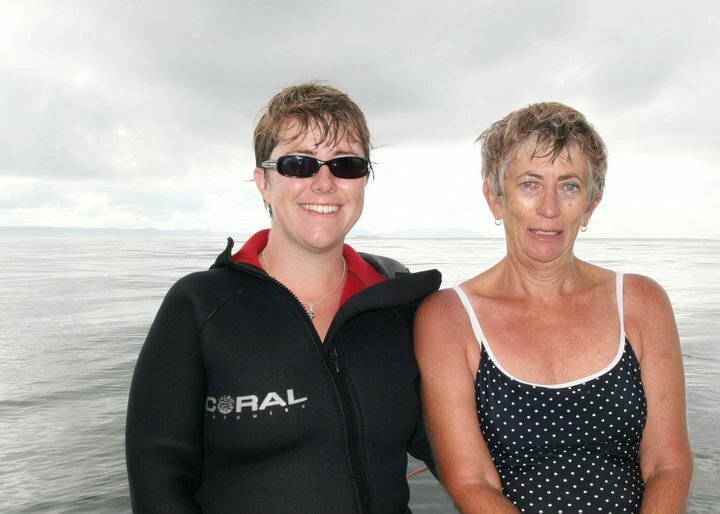 But I also couldnt have done this without my family, including Aunty Pam, who have been incredibly helpful. This trip has been a great success.